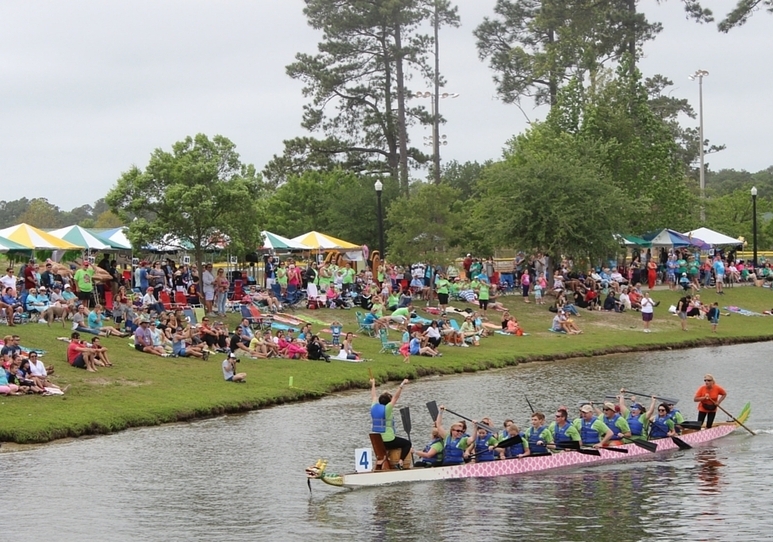 This weekend’s weather looks about perfect for The 9th annual Ground Zero Dragon Boat Festival at Market Common. The races start at 8:00 am this Saturday, April 29, 2017. 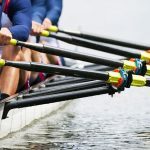 Dragon boating is the fastest-growing international team water sport today, featuring boats of twenty (20) paddlers and one (1) drummer in a competition to paddle across the finish line with the fastest time. Dragon Boat Race Festivals are visually-spectacular, exciting events held around the world. For competition events, dragon boats are generally rigged with decorative Chinese dragon heads and tails. At other times (such as during training), decorative regalia is usually removed, although the drum often remains aboard for drummers to practice. Sharon Carroll, a sales executive at The Trembley Group Real Estate is paddling for the third time this year. “I always look forward to participating in the races. It’s wonderful family fun and raises money for a very important cause.” Sharon said. “The minimum age for participants is twelve and my daughter is really excited to be eligible this year. She’s going to be the drummer on my boat. A special prize is given to the best drummer and we’re keeping our fingers crossed.” Sharon’s 2017 team is sponsored by Finish Strong Boot Camp, a fitness center in Myrtle Beach. 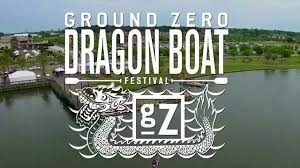 The 9th annual Market Common Dragon Boat Festival in Myrtle Beach is hosted by Ground Zero. The Festival is Ground Zero’s largest annual fundraiser. Ground Zero is a 501(c)3 non-profit organization, committed to transforming teenager’s lives by creating high-quality events, relevant school assembly speakers, and a cutting-edge venue that provides unparalleled entertainment in a safe environment. Ground Zero Dragon Boat participants agree to raise a minimum of $150 each to be on a team. For more information please visit their website at http://www.mygroundzero.com/.